1:15: Trixie Whitley is playing the sonic stage to an intimate crowd. Trixie is a teeny tiny pixie of a girl with a voice the size of Adele. Bluesy, lots of piano and an incredible vocal range. Dawes follows Trixie. This band with a So-Cal alt rock sound has blown up since playing an 11:30am slot at Bonnaroo two years ago. All members are talented vocalists and they harmonize effortlessly. The music is simple and honest. Guitar and piano solos play off each other beautifully. This band is worth a listen. There’s a ton of people packed in a tiny space at the Sonic Stage. 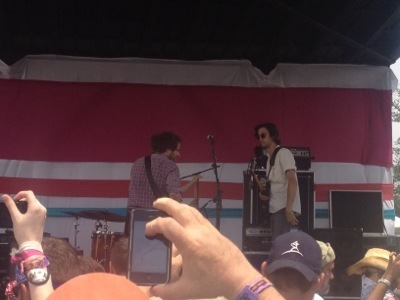 The band played a tent last night but said they wanted to come back to their first stage at Bonnaroo. Each band member has stage presence, especially the drummer, who is entertaining enough alone. Check out the song “When My Time Comes”. 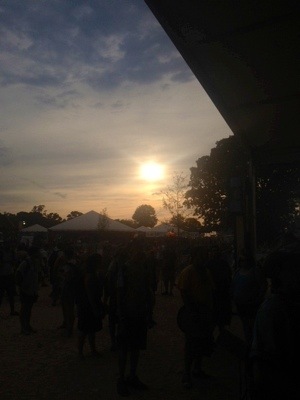 Bonnaroo is a little warmer today. 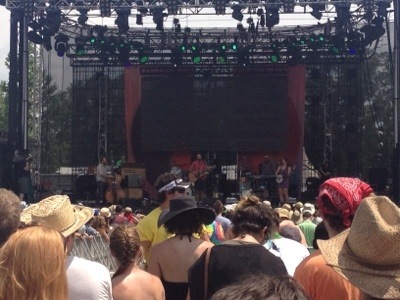 2pm: Blind Pilot takes Which Stage. Blind Pilot is an impressive Oregonian alt folk band. Their use of the xylophone, cello, trumpet and banjo compliment the already strong song writing. I’m specifically here to hear “Half Moon” and “Always”. 3:00pm: The Temper Trap takes the main stage. Odd set time and stage. While the band sounds good in the studio I didn’t enjoy the live show and I would consider myself a fan. They played favorites and some songs off their new album. Maybe the stage was too big, maybe they were just off, but it wasn’t good. Someone with me said the singer was over singing. 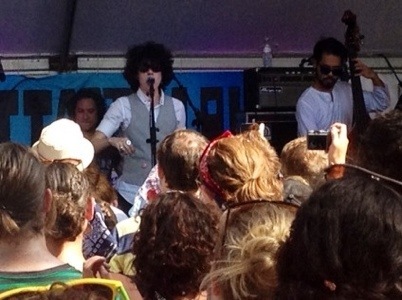 4:00pm: LP plays the tiny Miller Light Lounge. You may know “Into the Wild” from the Chase Credit Card Commercial with the woman climbing a mountain with “Somebody left the gate open” over it. LP is talented. Like, really talented. I was blown away. It’s a so-cal sound mixed with some orchestral elements. I would compare her vocals with Florence Welch, of Florence and the machine. Think Airborne Toxic Event with Florence Welch singing. Every song was a production. We all agreed the set should have been bigger. It will only be a matter of time before she blows up. 5:00pm: Puscifer Plays That Tent. Puscifer is the latest project from Maynard James Keenan of Tool and A Perfect Circle fame. I wasn’t a fan of them but I couldn’t resist the opportunity to see Maynard live. Keeping with consistency, there were visuals, Maynard wore a 1970’s airline pilot outfit. Puscifer is evolving, merging different beats with rock elements. Maynard is putting more if his vocals in the songs now. I enjoyed the live set. A guy fell out in front of us at Puscifer. 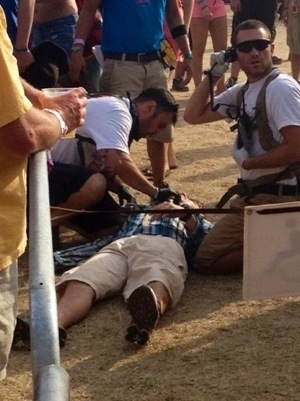 Paramedics came, strapped him in and carried him off quickly. I was impressed. Keep hydrated folks snd say no to drugs. 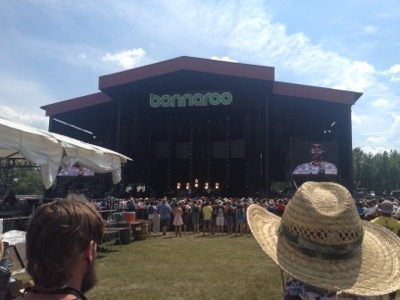 6:45: Childish Gambino is playing Which Stage snd is killing it! Some may know CG as Donald Glover from NBC’s Community. Few knew that Donald was actually a rapper before he was an actor. He is dazzling the huge crowd with random freestyles between songs. He showcased his vocal talents with a rendition of Adele’s “Rolling in the Deep”. He was backed by a full house band, refreshing for a rap show. Don’t know Childish Gambino? Check out “Bonfire” and “Heartbeat”. 7:00pm: I stopped off to see Danzig Legacy. With this incarnation, Glen Danzig takes his three previous bands (the Misfits, Danzig and the Samhains) and combines them into one mega show. Metal is not for me but it held historical significance. 7:40pm: The Roots are playing the main stage. I watch them every night on Jimmy Fallon so I listen from my camp sight. I’ll probably take it easy for an hour and then get a good spot for the Chili Peppers. 12:00pm: Red hot chili peppers played a magnificent set. Flea really stole the show, intermittently telling the audience the most random things. They stuck with the appropriate number of songs from the new album and played all of their hits. Drummer Chad Smith really stood out. Their sound was polished but still managed to bring back that dirty funk and punk sound for this live set. Flea and chad smith both received plenty of freestyle time. My only complaint is with the new guitarist that replaced John Frusciante, his backup vocals don’t harmonize as well with Anthony Keidis. This really was a bucket list show for me. 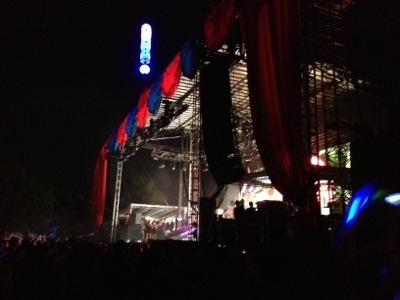 3:30am: Skrillex plays the second outdoor stage instead of a tent which was a tremendous idea. He absolutely killed it. I can honestly say I understand what all of the fuss is about. The beats are catchy and predictable, allowing you to familiarize yourself with a song easy enough to dance to it. Nobodys watching, go ahead, jump in the middle and dance like a fool. It began misting rain right in the middle of one of his better-known songs. I was a skeptic at first but over the past month I’ve been trying to give him a chance. 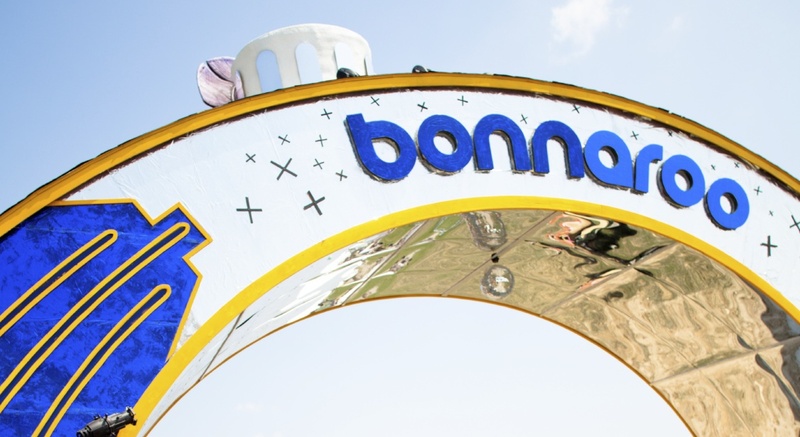 His Bonnaroo set justified his Grammy nomination. It’s such a high intensity mix, filled with complex synth symphonies that it easily keeps your attention. 4:00: It’s raining now. I hear raindrops on the rooftop. I’ll sleep well.